With our 1,000 Ounce Silver Bar there is no better and no cheaper way to invest in large quantities of silver. These bars are perfect for customers looking to invest in the metal itself, with no preference regarding the mint. 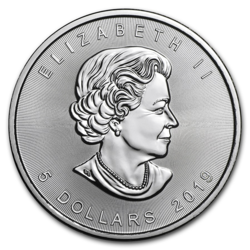 You won’t find anything closer to spot price, and it also makes for a great addition to any silver collection. These bars represent the best value for money for investors looking to buy large investment-grade quantities of this precious metal. We buy the highest quality, LBMA certified bars from a number of mints, before passing these on to our customers. Which brand we buy is determined by a number of factors, and as these change all of the time, there is no way of knowing which particular bar we will have at which particular time. This is the only way we can keep the price down and offer these bars at close to spot. However, as we only deal with mints that produce the best bars and have the highest standards, customers are guaranteed quality. 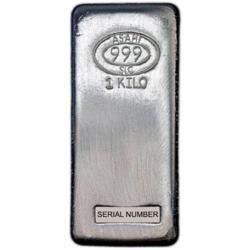 These bars contain 1,000 ounces of .999 fine silver. 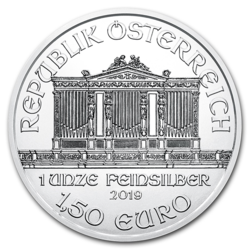 All of our 1,000 Ounce Silver Bars are stamped with the brand of the mint that produced it, and you will also find unique serial numbers on each individual bar. 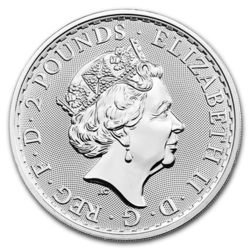 Depending on the mint, you may also find other marks and stamps, but these are not always present. 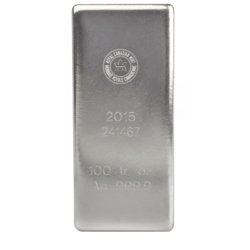 All of the 1,000 ounce silver bars that we sell are LBMA certified. This stands for the “London Bullion Market Association”, which is a world authority on precious metals. Only the very best mints and the very best bars make it onto the LBMA list, also known as the “Good Delivery” list. Although it is based in London, this association deals with refiners, minters and corporations all over the world, including most gold-hoarding banks, private companies, mining companies and precious metal producers. These bars do not come with an assay certificate, but the guarantee provided by LBMA membership is more than enough for most investors when it comes to verifying the quality of a bar. 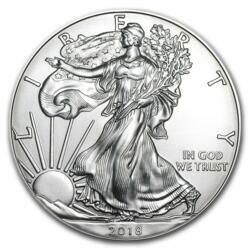 1,000 Ounce Silver Bars were created with serious investors in mind. 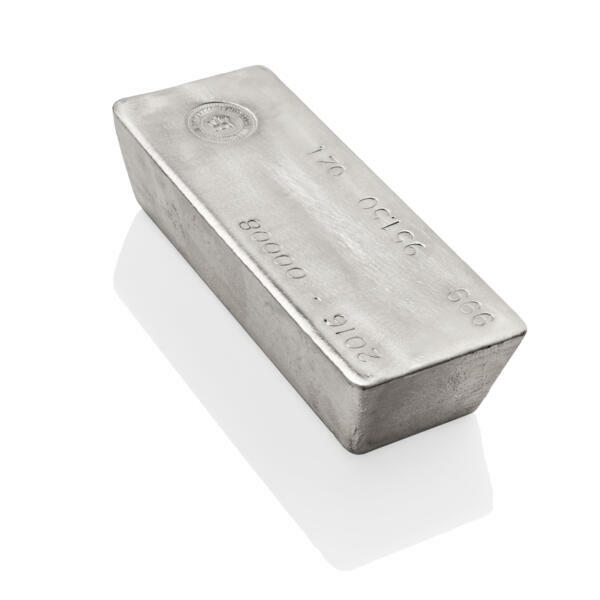 The highest commonly traded silver bar is just 100 ounces, which is just about the maximum weight of bar that you can hold comfortably in your hands. 1,000 ounce bars might be a little too big and too heavy to hold in your hands, but they’ll certainly fit comfortably within our vault. Once it comes time to sell, you can offload the bar as one piece and profit from any increases in the price of silver, or you can melt it down, create smaller lots and make a larger premium.